Just south of Nottingham Road along the R103 you will find one of the newest breweries in KwaZulu Natal. 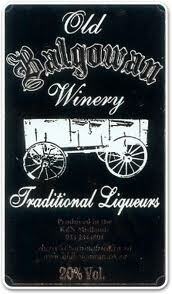 The Old Balgowan Winery has a brewery and they even have plans to grow barley on the Old Balgowan Farm. They currently have a Lager, Pilsner, Ale and Bitter and a Cherry Ale made from black cherries. I also know about plans for a brewery just south of Old Balgowan and another one to the north-west of Nottingham Road (close to the Lesotho boarder). any info about the brewery to the north-west of Nottingham Road ? Romour said that their are plans to start a brewery in Central Drakensberg (R600). Are you interested in selling Zhongde Equipment ? Hello, I am a friend of Brew Master Wolfgang Koedel.